Our guestrooms at the Inn are in three buildings, The Main Inn, The Carriage House and The Old Parsonage. Each nights stay includes a full cooked to order breakfast, served at your own table in the solarium each morning. All of our guestrooms have their own private bathroom, TV, WiFi and air conditioning. We are open for lodging 365 days a year, Fall Foliage and Holidays are considered peak season and should be reserved early. Summer and Winter weekends are busy with area events and destination weddings. Spring, a very beautiful time of the year in Vermont is our off season. All are non-smoking. Rates include a full cooked to order country breakfast, served restaurant style at your own table. The West Mountain Inn has been hosting guests for over thirty years. Spacious living rooms, antique-filled guest rooms, fantastic views, and gourmet dining provide your perfect Vermont country retreat. Barrows House and its cluster of eight buildings are centered on six acres of lovely gardens, expansive lawns and venerable trees. Lodging options include luxury suites with whirlpool baths and fireplaces, cottages with multiple guest rooms, free-standing homes with living rooms and outdoor seating areas ideal for extended family & friends. In the summer enjoy our pool and tennis courts. In the winter, warm by the outdoor fire pit. Whatever the season...there’s always a reason to stay at Barrows House. The Eddington House Inn, a boutique bed and breakfast, is nestled in the heart of North Bennington Village in scenic Southern Vermont. Built in 1857, the Eddington House Inn bed and breakfast has been elegantly restored and offers three light-filled suites with private baths; beautiful gardens and a charming North Bennington village location. Mansion Inn on Lush Garden Estate. 5-minutes from Bennington College. Private Baths, Cable TV, Air conditioning. Come see why Fodor’s calls our romantic Vermont Bed and Breakfast one of the “best inns in Vermont”. Hill Farm Inn is a classic Vermont bed and breakfast situated on fifty acres of pristine meadowlands and valley. Just minutes from world-class shopping, dining and cultural sites, the inn combines regional history and small-town charm with the modern amenities essential for an unforgettable stay. Each of the renovated guest rooms offers beautiful views, luxurious linens and private baths. Days begin with a breakfast from scratch, featuring the very best local ingredients. Whether a weekend getaway or family retreat, Hill Farm is your invitation to get away from it all. Come celebrate a special occasion, or just kick back and enjoy fine country living. We look forward to welcoming you soon. You’ll find us nestled in a valley between the Taconic and Green Mountains on four sprawling acres, just minutes from Manchester, Vermont’s charming downtown. Our southern Vermont community is teaming with talented people and surprises at every turn. Browse local galleries, cast a fly in the famed Battenkill and Mettawee rivers, hike, bike, ski, shop and more. Choose from one of our 21 thoughtfully appointed guestrooms – including 12 suites – each with their own distinct character, including some with private fireplaces and sitting rooms. There’s a reason we are an intimate, family owned and operated inn: we love to get to know our guests personally. So make yourself at home… and stay awhile. There is a place in southwestern Vermont where back roads lead to lush horse farms, where peace and quiet abound. The air is cool all summer long and vistas stretch for miles. That place is Meadowood Farm, a decidedly unique mountaintop experience. On 18 acres, Meadowood Farm is a safe haven of Vermont forest, fields and meadows. Take in the panoramic views of Mount Anthony, Mount Graylock, the Bennington Monument and the entire Bennington Valley. The oldest house in Bennington Village circa 1774, The Inn was built by Samuel Safford, who was a Lieutenant-Colonel with the "Green Mountain Boys" during the Revolutionary War and the Battle for Bennington in 1777. The house was built across the street from what was then Benton Pond, and the site of a Sawmill and the First Gristmill in Vermont, built by Samuel's Father Joseph Safford in 1762. It was known as Safford Mills and operated well into the 1800's. Safford Mills Inn and Café offers the ambiance of the past with the modern amenities of today. We are not a typical Out in the Country, Peace & Quiet kind of B&B, but more of an In-Town, Night life "A&A"...Accommodations and Aperitifs. Every Weekend Our Martini Bar & Cafe is a buzz with activities, going on until around 10:30pm. The South Shire Inn has the charm of a true Vermont Bed and Breakfast with nine uniquely appointed rooms. Relax and enjoy the romantic ambiance of days gone by in this exquisite turn-of-the-century, 1887 Victorian Inn located in the Southern Vermont village of Bennington. The estate, formerly the private residence of Louis A. Graves, was the creation of architect, William C. Bull who designed many of the stately Victorian structures in the Shires of Vermont. For more than 220 years, The Dorset Inn has offered traditional New England hospitality...gracious lodgings, gourmet dining, fine wine & great spirits...all trademarks of a quintessential Vermont experience. Our southern Vermont bed and breakfast is the premier romantic New England getaway to Manchester, Vermont. We are a truly romantic and luxurious Vermont bed and breakfast country inn-a perfect New England vacation destination for intimate getaways, honeymoons, celebrations and relaxing escapes. The Inn at Ormsby Hill is proud to be one of twelve 4 Diamond Inns/Hotels in Vermont. One luxurious evening with us and you'll know why. Located on the scenic Williams College campus in Williamstown, Massachusetts. The Williams Inn is just steps away from The Clark Art Institute and Williamstown Theatre Festival, a quick walk to downtown Williamstown and surrounded by incredible natural attractions. Our hotel staff is here to make sure every guest has a successful stay and positive experience at our boutique hotel in The Berkshires. We offer 124 spacious guest rooms, four event spaces, two on-site dining options and numerous amenities, including complimentary WiFi, an indoor pool, hot tub and sauna. The Williams Inn is managed by Main Street Hospitality Group and owned by Williams College. A Majestic 30-Acre Hilltop Estate, Historic Inn & Vacation Villas for Families, Romantics, Artists, Foodies & Leaders Who Transform the World. Aspen at Manchester, offers friendly New England hospitality in the heart of Manchester Vermont and a variety of homey, comfortable lodging accommodations to suit all your family's vacation needs. Our spacious grounds encompass nine acres and include a swimming pool, shuffleboard courts, lawn games, a variety of sitting areas, beautiful landscaping, wooded paths— something for everyone! A 1.4-mile drive from the Silk Covered Bridge, this low-key hotel is also a 2-mile drive from the Bennington Battle Monument. Rooms feature free WiFi, desks and flat-screen TVs with premium cable channels, in addition to microwaves, minifridges and coffeemakers. Some add Jacuzzis. Freebies include cooked breakfast, parking and coffee in the lobby. Other amenities are an outdoor swimming pool, a fitness center and a laundry. Yankee Magazine calls the Casablanca Motel “Vermont’s best retro escape.” What’s the secret? Ten charming, restored cabins offering a vintage vibe with modern amenities, friendly innkeepers, and realistic rates, recalling the heyday of American travel. Casablanca Motel captures the magic of a simpler time so that you can escape, explore and unwind. Relax on the porch, toss a few horseshoes, or fire up the grill on a warm summer evening. Please note due to Fire Code regulations we cannot allow any hot plates or other cooking devices inside or around our cabins. Cooking on our charcoal grills is allowed in designated areas only. Simplicity reigns, and you set the pace. Manchester proper features a vibrant mix of indie shops, galleries, antique centers, designer outlets and historic and cultural sites. The region’s best recreational opportunities–golfing, skiing, hiking, riding–are within local driving distance. And when it’s time to eat, the area’s top notch restaurants can accommodate every dining style. With so much to explore, you’ll want to come back for more. While chains may be boring and boutique hotels are expensive, Casablanca Motel offers a unique lodging experience. From Main Street to the Mountains, experience a simpler way to stay. And may it be the start of a beautiful friendship. Nestled amongst the Green Mountains, The Equinox, a Luxury Collection Golf Resort & Spa, Vermont offers the perfect destination for picturesque escape year-round. Explore our backyard, where golf, skiing, spa renewal and more are just steps away. The Harwood Hill Motel was built in 1937 to serve the first wave of American vacationers traveling into the countryside by motorcar. Over the years, it has changed hands a few times, but maintained its harmony with the beautiful surrounding landscape. Today, the motel is evolving alongside the town of Bennington, where a vibrant arts community flourishes. Vermont’s finest hospitality that over 35 years of family tradition can provide! Charming, spotless ground floor level entry rooms. Suites * Efficiencies * Wireless Internet * Outdoor Pool * Pet friendly * Seasonal Continental Breakfast. 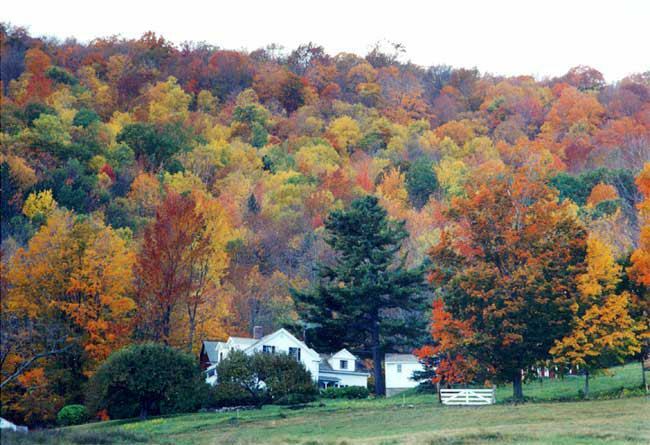 The Manchester View sits high up on a hill with magnificent, sweeping views of the historic Route 7A Valley just a mile and half north of the center of Manchester Village and two miles south of Dorset Village in Southwestern Vermont. Some of Vermont's best ski resorts — including Bromley, Stratton and Magic Mountain — are just a short drive from the hotel. Just steps away from Bennington’s historical attractions and downtown district, the Paradise Inn has 77 rooms to fit any budget from economy to premier (some with sauna) to luxury suites. The Paradise in boasts gorgeous gardens, spacious grounds, spectacular mountain views and a pool area that has to be seen to be believed. Complimentary WiFi, Continental breakfast and pet friendly. There is something for everyone at Karin’s Place–from the peaceful and tranquil gardens, gazebo and pool while the kids play on the pirate ship to a full-size movie screen with surround sound and enough books and games to last several lifetimes! Lie in a hammock and take in the sun or cross country ski on the 22 acres of land. The leaf peeping is also impossible to beat. The idea is imagination. Karin’s Place is a home. You can have your company/corporate meetings in the Grand Room while having your down time in the spa. You can have your family reunion or Big Chill weekend with your 30 favorite family members and friends. The Grand Room is also perfect for yoga, meditation, music making, and performances. Host an organized residency or retreat of any kind! This home is unique and grand. It was conceived by Jenny’s father who was a bonafide eccentric. He lived a large life and was truly one-of-a-kind. There is no other home or inn in the area like Karin’s Place. There are hotels. There are convention centers. There are inns and B&Bs. None has a 1600 square foot grand room with a stage, a pirate ship in a sandbox, and a grown up sized swing. Our attention to detail and personal investment in your time at Karin’s Place makes every visit distinctive and uniquely special. 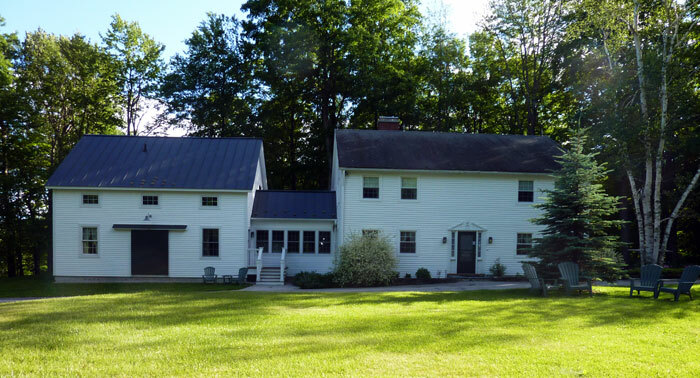 Karin’s Place is an 8,000 square-foot home nestled in the woods of Bennington, Vermont on 26 acres of land. Far enough off the road for solitude and listening to birds and animals rustling in the woods yet just four miles from the town of Bennington and nine miles from Williamstown, Massachusetts, Karin’s Place is in the middle of nowhere and close to somewhere. She can be your ultimate destination and/or she can be your resting ground after taking in theatre, music, museums, skiing, and more. The house sleeps up to 26 in beds plus a futon and pullout with six bedrooms, two sleeping lofts, 4 1/2 baths. Rent the entire house for 2 days, a week, or a month. Just come. Why wait? We look forward to meeting you! The freshly made bagels await. Our office is on site but Jenny and John live in their own home two miles away. Located at the end of a winding country road and nestled against the base of Mount Anthony, the property has 350+ private acres to hike or walk, two lovely ponds for swimming, stunning views of Pleasant Valley from the wraparound front porch, and spacious, modern living quarters. The property includes two residences.